OC Mom Activities: Organic meats delivered to your door? The tenderloins look amazing - my mouth is watering right now. My husband would want us to try the lamb kabab meat. Looks fabulous. Would LOVE to try the tenderloin! I subscribe to your email feed! I am an OC Mom Activities Facebook fan! Made a comment under your Tassimo review! I 'like' Rocky Moutain Organic Meats on Facebook. I would love to try the Organic HOney Pepper Jerky from this company. I'm a huge jerky fan and that just sound great! I get your blog posts straight to my my RSS inbox! I made a comment on "The Happiest Race on Earth" post! I let a comment on the Lemonade post as well! I would love to try the top sirloin steaks value pack! We are trying to be more "ethical consumers" so I love to see companies like this supported! I would like to try the beef patties to see if my kids notice a difference in their burgers! Commented under San Diego Natural History Museum post! Left a comment under your Air and Space Museum post. Very interesting place! I'd like to try the Organic Beef Pepper Jerky. Just commented on your coffee recipes post! Yum! Commented under your Seasons 52 post! Commented under your Lime Truck post! The snack pack sampler looks great. The organic lamb meat for kabobs looks amazing! I would love to try the organic roast! I would love to try the Ribeye Roast! Commented on your Figure Skating post! Commented under the easy birthday party favor idea post! I'd love to try the Tenderloin...looks delicious!! I would love to try the Flank Steak for our next BBQ! I would love to try the organic sliced pastrami! a new york strip steak would also be yum! another product I would like to try, the Organic Beef Honey Jerky! I commented on the figure skating post! I commented on the Alpha and Omega Activity set winner! I commented on the BBQ Chicken Pizza post! I would also really love to try the Tenderloin Premium Package! I would love the organic Pastrami, yum! I would love to turn some of that top sirloin into beef jerky! Todays entry I would love to try the tenderloins! WE like steak in our house, so I would try the tenderloin. Would love to try the NY Strip Steak! Commented on your Astronaut Ice Cream post! The product I would most like to try is the NY Strip Steak!! Commented on your $100 a week groceries for family of four post. Commented on your Whole Foods Turning 30 post! Commented on your "Book a Duffy Boat" post! I would love to get the Good Cooking Bundle--a variety of different cuts of beef! Yum! The reason I'm entering this giveaway is because my son would eat a hamburger every day if he could! Would love to try the Ribeye Steak! Today's entry I would love to try the honey pepper jerky! Would love to try the Tenderloin Roast! Left a comment under your Surfing...No Thanks post! I wouldl like to try the organic honey pepper jerky! I commented on "Best Halloween Events for Families in Southern Callifornia"
Left a comment on "Run, don't walk to the Lime Truck when it's in your area..."
I'd love to try the Organic Honey Lime Pepper Jerky! Left a comment under your Best Halloween Events post! Left a comment under your Fire and Ice Restaurant post! Left a comment under your Taco(ish) Salad recipe! Left a comment under your Sneaky Healthy Food at Fresh and Easy post! Left a comment under your Last Minute New Years Eve Recipe and Table Decorating Ideas post! Left a comment under your Party Mix post! Left a comment under your Tide Pooling post! Left a comment under your "Easy Gourmet BBQ Chicken Pizza" post. another item I would love to try: Grass Fed Organic Steaks & Ground Beef package! I would love to try the Ribeyes. We love Ribeye. I would like to try the Grass Fed Organic Lamb Kabob Meat!! I posted on your Beauty and the Beast @ El Capitan. I posted on the Happiest Race on Earth. Would love to try their Beef Ribs! Left a comment under your LulyBoo at Target post! Left a comment under your Beauty and the Beast/El Capitan post! I would like to try the pastrami! I would like to try the beef honey jerk. I commented on Seasons 52 in Costa Mesa. I want to try the tri-tip roast. We grilled tri-tips for our wedding 8 years ago and I haven't had it since! The beef sausage looks yummy! Would love to try the Honey Beef Jerky! Just commented on your Star Wars - Clone Wars Adventures post! Would love to try the Organic Beef Breakfast Sausage! Left a comment under your "Bullying" post. I commented on your Star Wars Clone post from today. Would love to try the Chuck Roast! Left a comment on your Griffith Park Observatory post! Would love to try the Organic Beef Hot Dogs for my kids! 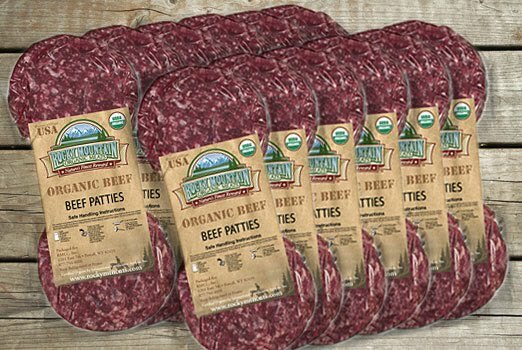 Would love to try the Organic Beef Snack Sampler Pack! i bet the garlic sausages are yum! the hot dogs would be awesome for the kiddos! Would love to try the Organic Summer Sausage! Left a comment under your Mental Health Week post. Would love to try the Organic Sliced Pastrami! Would love to try the Beef Garlic Sausage! Left a comment under your Etnies post! I commented on "Special Showings of The Nightmare Before Christmas Just in Time for Halloween"
Grass Fed Organic Leg of Lamb! Left a comment under your "Haunted Mansion at Disneyland - Wordless Wednesday" post! Left a comment under your Rockettes post! Would love to try the Honey Pepper Beef Jerky! Left a message under your "Mickey's Trick or Treat is a Fun Filled Night!" post! Left a comment under your "Special Showings of The Nightmare Before Christmas Just in Time for Halloween" post!